Yong Belar mountain is rich in various types of forests and flora which can be used for medical purposes. Climb to the top of Yong Belar Mountain and going down will take 13 hours. There are three camp sites at Yong Belar... Tudung Periuk Camp, Kasut Camp and Yong Belar Peak and most of hikers will sleep at Kasut Camp. If you are from Kuala Lumpur, you need to drive from Kuala Lumpur to Exit Simpang Pulai through Lebuhraya Utara Selatan which will take 2 hours of journey. From Exit Simpang Pulai, you need to drive towards Kampung Raja and parked your car at a mosque. From there you need to ride a 4WD which took 1 hours of journey to starting point. There are 2 treks.. One treks you need to walk through pipes and another trek through a vegetables farm. If you choose to across first trek (with pipes), you can refer to mchiker blog. Another one trek only 4 stages where we choose this one. This trail started with flat terrain along vegetables farm towards the forest entrance. And than at the second stage, you will find couples of false peak that will lead you to Tudung Periuk Camp. Third stage, you will across muddy and mossy trail towards Kasut Camp. Fourth stage is the trail towards the peak. 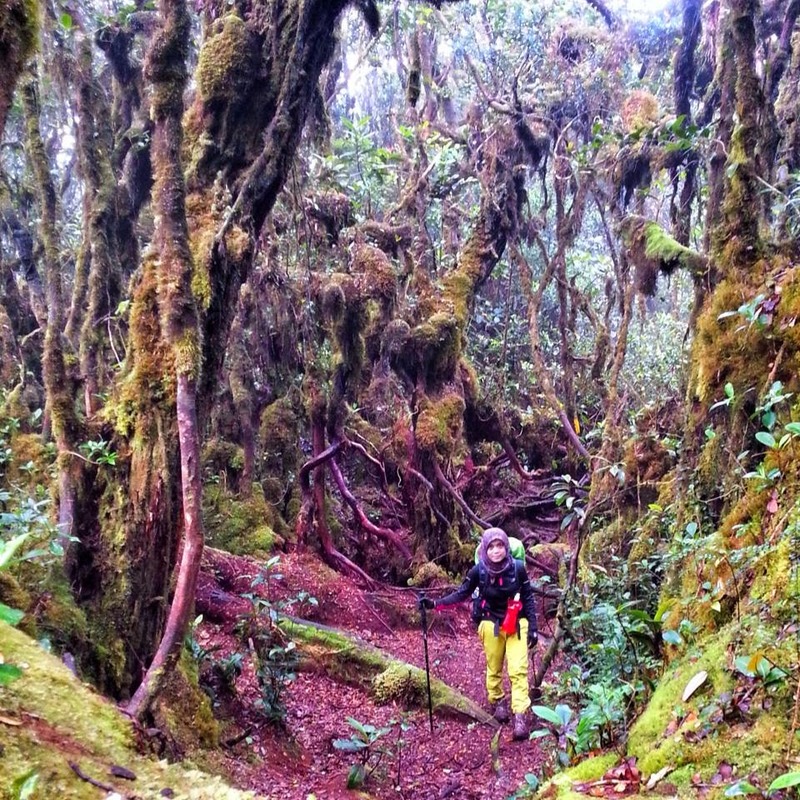 Here, you can see beautiful scene of mossy forest like my picture above but be careful with mud there!